The first step to long-term fitness success is to be honest with yourself. Don’t simply mimic what others are doing, look within, listen to your body and do what feels right for you. Begin to identify excuses and become aware of the language you use. When you say you don’t have enough time to exercise, check in with yourself to make sure you’re being honest. How much time have you spent idle in the last 24 hours, could you be using your time better. Do you really have absolutely no free time at all? Too tired? Unless you’re a professional athlete it’s unlikely that your body is ever too tired to train. However it could be neurological fatigue that’s talking you out of it. It’s called the brain drain, and it comes from mental stress. You need to battle this type of fatigue head on. The secret is to give your brain a break and let your body have a workout. When you’re feeling mentally fatigued walking is a lifesaver. The best thing about walking is that it’s something that everyone can do. I love my 20-minute walk to work. My body is active, I am absorbing the fresh air and I feel grounded yet disconnected from all the pressures. My mind switches off from all the daily stresses and my thoughts are free to float around. For me it’s the ultimate blend of physical and mental exercise – and the perfect time to practice a little gratefulness. So regular walking is good. But is nailing down a regular exercise routine necessary too? There’s no right or wrong answer. The trick is to find out what works best for you. If routine makes you feel balanced and stable, then by all accounts create a workout regimen. If you hate routine then be spontaneous with your exercise plans. When it comes to setting goals be honest with yourself and realistic about where you are and where you expect to be. If you’re just starting out set short term goals (every few days) so you can experience success sooner and more often. But be prepared to continue to set new goals regularly. All too often people quit too quickly when the journey is too long. Finally, listen to your body. If you’re not enjoying what you’re doing try something different. If you’re getting bored of exercise you’re probably doing too much. If you’re putting on weight it’s your body becoming inefficient and telling you something isn’t right – so listen to your body and make a change. 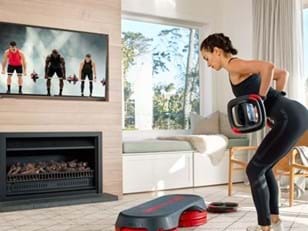 LES MILLS™ On Demand is an at home option that makes trying different exercise options easy. You can choose anything from weight training, to dance, cycling, yoga and more - and best of all you can do it whenever and where ever you please. 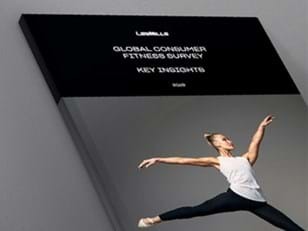 Check out LES MILLS On Demand here.